This is a first for this blog, and I am very excited to include this lovely lady on my page. Who am I talking about? The Rockabilly Miss Next Door of course! I have been a keen reader and fan of her blog for over three years now so it was a great privilege to be asked by Nadia to do a spotlight post on her blog, and feature her on mine. So without further ado here is the little interview! 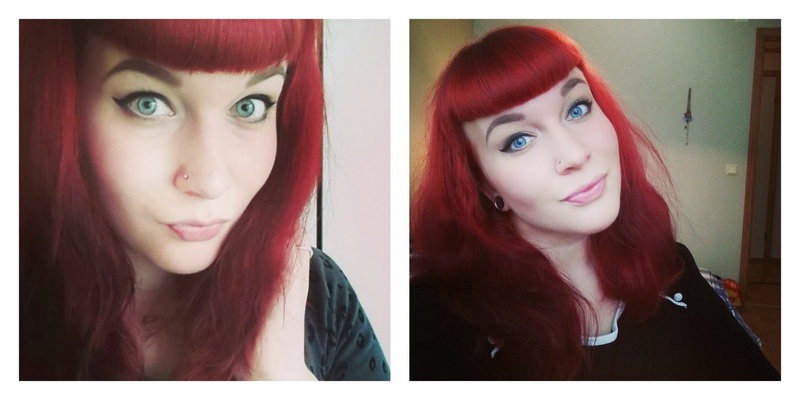 My name is Nadia, I am 24 years old and I live in Norway! I am engaged to my boyfriend of 3 years. I am a qualified teacher, and I work as a substitute teacher in a primary school. I'm also a student, and I am studying Norwegian as a second language. 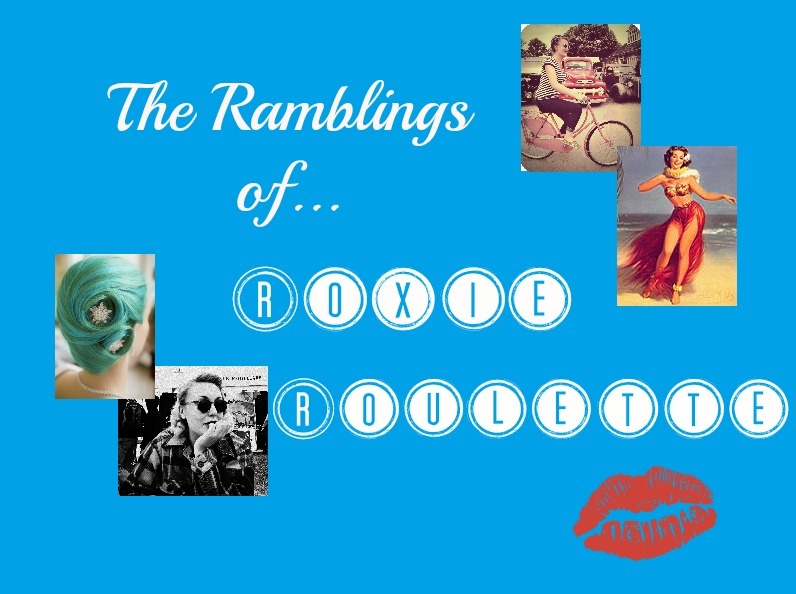 In addition to that, I am a rockabilly blogger and I blog over at The Rockabilly Girl Next Door. It was 2010 and I started blogging because I wasn't happy with myself. I was not a girly girl at all, and I never felt pretty. I saw these pinup and rockabilly girls online and wanted to be one of them. Through the blog I could be the person I wanted to be, without anyone judging me. I got to live the life I wanted through the blog, and slowly I started gaining the confidence to actually be the person I wanted to be in real life as well. 4. Best thing about blogging? The best thing about blogging must be getting the chance to work with awesome companies. I never in a million years thought I'd be involved with Sourpuss or Classic Hardware when I started out blogging as an insecure young girl. It's also made the world smaller, I feel like I have friends all over the world thanks to blogging. 6. Where do you buy your clothes/shoes/accessories? I rarely buy clothes online, because of taxes in Norway. It's very expensive to get things sent here, and I often have to pay twice the amount just to get my stuff out of the post office. I also like trying the clothes on before buying, and since I can't do that online I shop at random stores in Norway. I go to average stores we have here (they're kinda like H&M), but I'm not afraid to walk into any other random store if I see something I really like. When I first started off in this rockabilly world, I was inspired by burlesque dancer Frostine Shake. I thought she was so beautiful, and I wanted to be like her. I still love her style, but nowadays I take inspiration from many different people. I spend a lot of time on Instagram checking out awesome rockabilly girls and let them inspire me. And who can forget John Water's rockabilly rebel Wanda Woodward? 8. What were your highlights of 2013? One of my blog highlights must be when I worked with Classic Hardware. That was awesome! Personal life highlights must be finishing arts&crafts in uni (it was horrible) and teaching myself how to run again. I have a serious ankle damage, and haven't been able to run for 7 years. I started working out, and suddenly one day I ran. I couldn't believe it! It was also amazing to go back to Cyprus after 8 years. I've missed my friends and family there so much, and it was great to stay with them for a week. 9. What are you looking forward to in 2014? 10. One random fact about yourself. A Mid Century Marvellous Market!